Answering Basic Questions – With Visuals! VARIETY PACK! 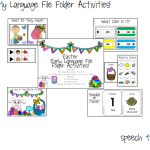 Have you been loving using my file folder activity packs?! I’ve gotten TONS of feedback that your favorite part of them are the sentence strips. 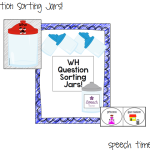 Well, I created another activity that can be used with the same population! 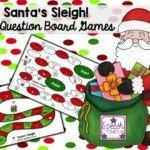 This one can be used year-round since it has generic themes rather than seasonal/holiday! 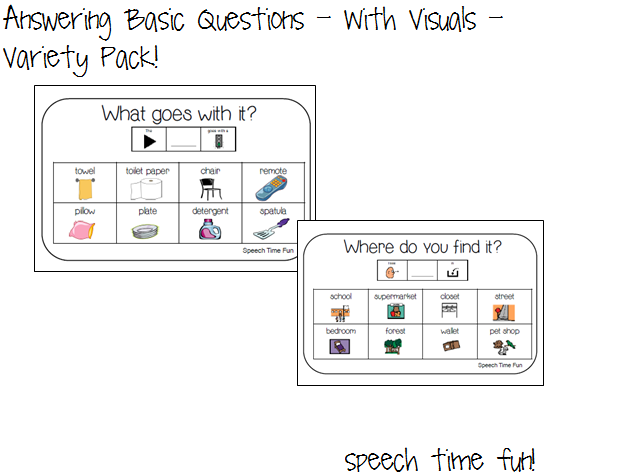 Work on answering a variety of wh- questions with visual choices and sentence strips! 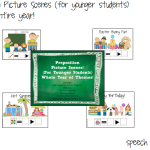 *Can be used with a wind-up toy, cut apart with a bowling game, penny/bean bag toss, or put numbers behind each picture and have students pick numbers randomly to select one! *Can also be paired with any motivating toy/activity to be used as a drilling activity! View of wind-up toy blog post HERE to get an idea! -A visual page of pictures is provided. 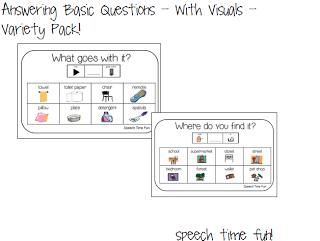 -Cards are provided for each question related to the visual page. 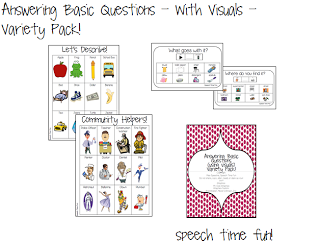 Choices are provided for answers as well as a sentence strip to encourage complete utterances while responding. -Suggested preparation: put the question cards on a binder ring to keep them together. 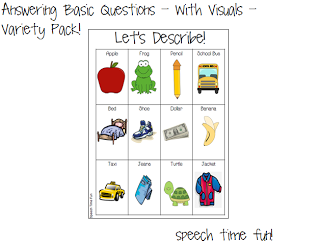 -You can have students respond to questions for each image on the picture visual page or use with one of the suggested activities listed above to make drilling fun and pictures selected randomly! 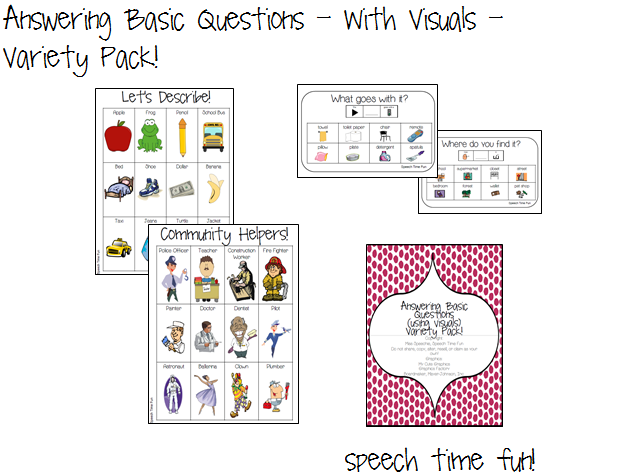 Check out this pack in my TpT store by clicking HERE! 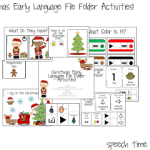 Christmas Early Language File Folder Activities!